Born without the lower half of his left leg, young Don Elgin never considered himself disabled until he was in high school – and even then, he had to be convinced. 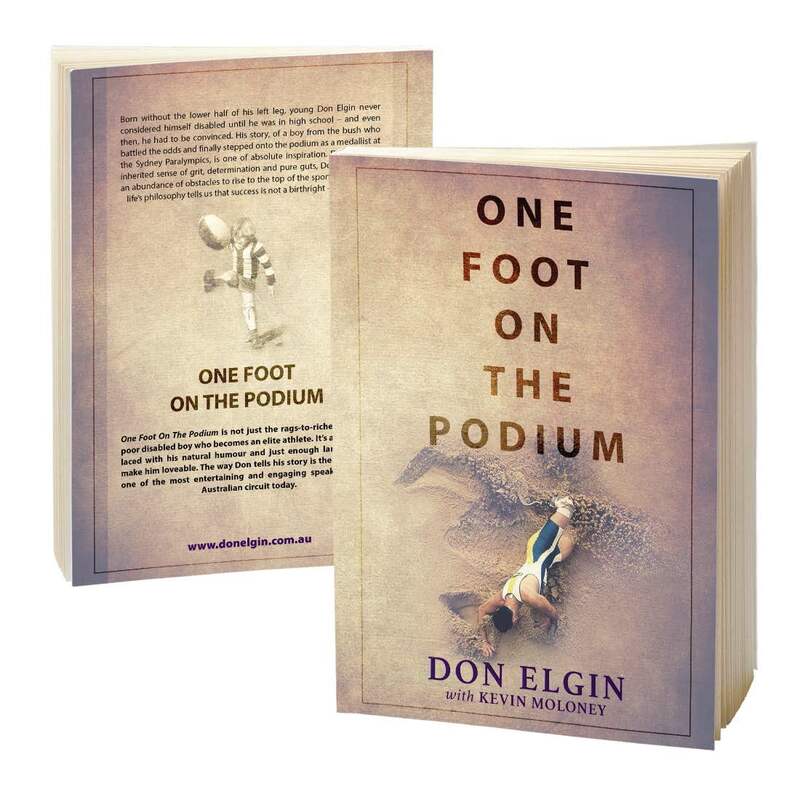 His story, of a boy from the bush who battled the odds and finally stepped onto the podium as a medalist at the Sydney Paralympics, is one of absolute inspiration. Driven by an inherited sense of grit, determination and pure guts, Don overcomes an abundance of obstacles to rise to the top of the sporting heap. His life’s philosophy tells us that success is not a birthright – it’s earned. ‘Don Elgin: One Foot On The Podium’ is not just the rags-to-riches story of a poor disabled boy who becomes an elite athlete. It’s a tell-all tale laced with his natural humour and just enough larrikinism to make him loveable. The way Don tells his story is the reason he’s one of the most entertaining and engaging speakers on the Australian circuit today.